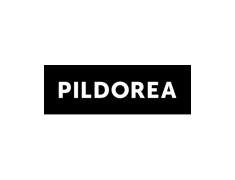 PILDOREA, an eLearning platform of the audiovisual and web sectors based on watching three minutes long or less video pills to effectively learn what it is really needed without wasting time. PILDOREA starts to cover the need of changing the way Web and Audiovisual professionals do learn. eLearning tries to copy classroom training to the Internet without being adapted to the habits of use of this medium. To be adapted to the user that learns online are needed flexible schedules, reduce long periods of time to maintain attention and focus on learning and not on certification. To make this possible PILDOREA works in two main areas: developing video pills methodology, and video recording and editing to fit them to its specifications and the technology used. The benefits of working with small units of time instead of long training periods is that eLearning becomes much faster, effective and concrete. Foundation: PILDOREA was founded on October 2015, but the team is working on the projects since the beginning on January 2014.